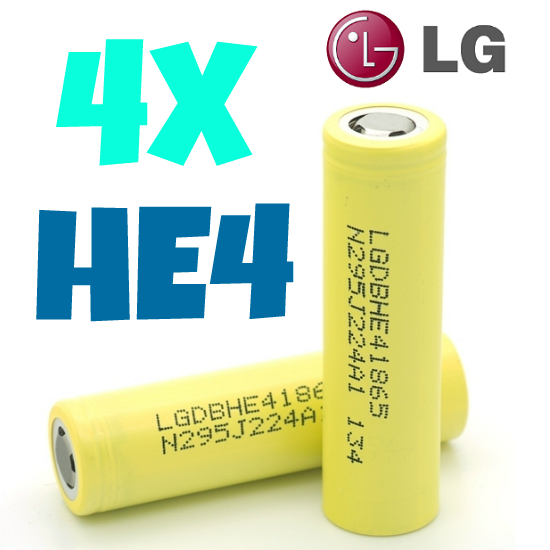 The winner of the lottery #184 for 4x LG HE4 35A 2500mAh High Drain 18650 Batteries was Konstantinos Leonidas from Agios Dimitrios, Greece on Mar 15, 2016. Help us keep doing these giveaways, come visit us at www.vapetrade.com - PLEASE CLICK HERE.. These are original LG HE4 18650 high drain batteries with lower internal resistance values that perform extremely well under harder workloads. A step up from HE2 batteries, the HE4 cells are also noteworthy for operating at lower temperatures during peak output periods. As with the HE2 series, HE4 batteries are designed for 22-23mm cylindrical mods and most 18650 box mods. These batteries are considered to be one of the best and safest for low sub ohm vaping purposes because they have a maximum load capacity of 35A.